Morrall led Muskegon High School in Muskegon, Michigan, to a state football championship in 1951, setting off a determined recruiting effort by the University of Michigan, the University of Notre Dame and Michigan State University. At that time, the Notre Dame did not participate in post-season bowl games. The efforts of the colleges were enough for the principal of Muskegon High, George A. Manning, to complain that Morrall’s education was suffering. 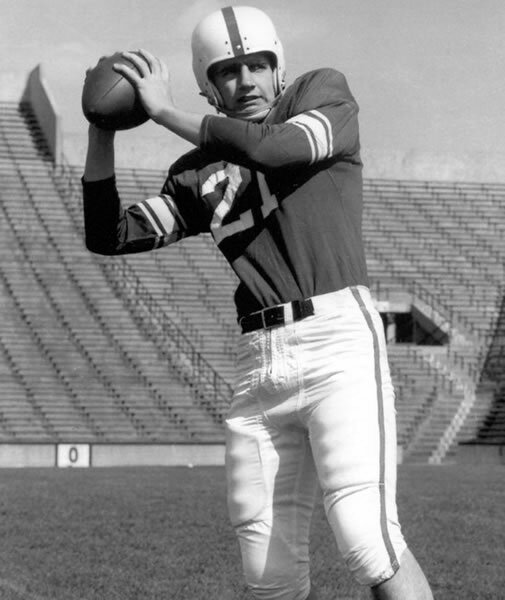 Eventually choosing Michigan State, Morrall played three seasons for the Spartans, leading them to a 9-1 regular season record in 1955. He capped his senior year with a victory over the UCLA Bruins in the 1956 Rose Bowl game. Morrall also played baseball at Michigan State and played in the College Baseball World Series as a shortstop and third baseman. He was offered the opportunity to play professional baseball but chose instead to play NFL football. In his more than two decades on the professional gridiron, Morrall played for six different teams, starting with his rookie year in 1956 as a first-round selection by the San Francisco 49ers. On September 16, 1957, he was traded along with guard Mike Sandusky to the Pittsburgh Steelers in exchange for linebacker Marv Matuszak and two first-round draft picks. Despite the high cost of the transaction, the Steelers traded Morrall just over a year later to the Detroit Lions in order to obtain future Hall of Famer Bobby Layne. Morrall would be with the Lions for the next six years, having his best season in 1963 by throwing for 24 touchdowns and more than 2,600 yards. The following year, he suffered a season-ending shoulder injury in an October 18 contest against the Chicago Bears. After spending the off-season rehabilitating from his injury, Morrall was dealt to the New York Giants as part of a three-team transaction on August 30, 1965. Enduring his role during the Giants’ rebuilding phase, Morrall threw for 2,446 yards and 22 touchdowns that season, but found himself seeing spot duty over the course of the next two years. 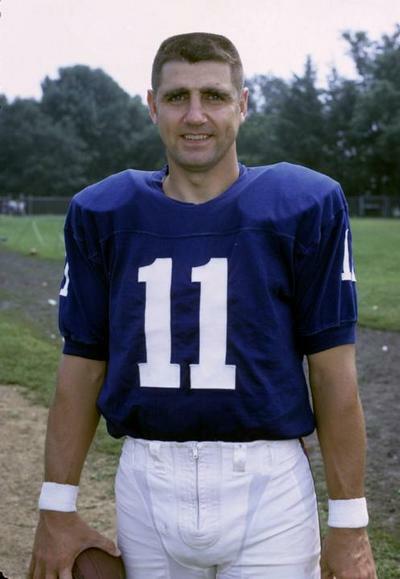 On August 25, 1968, he was traded to the Baltimore Colts for an undisclosed draft choice. When regular Colts signal caller Johnny Unitas was injured in the final exhibition game, Morrall became the team’s starter. Morrall proceeded to lead the Colts to a 13-1 record, then added two playoff victories en route to winning the NFL’s Most Valuable Player award, leading the Colts into Super Bowl III. However, in one of sport’s greatest upsets, the Colts lost 16-7 to the New York Jets, with a second-quarter interception of a pass by Morrall symbolizing the team’s luck on the day. Wide receiver Jimmy Orr was wide open near the end zone, but Morrall inexplicably didn’t see Orr (despite having successfully run the same play earlier in the year). His throw down the middle was short and picked off by Jim Hudson to blunt the Colts’ momentum. Two years later, Morrall again replaced an injured Unitas in Super Bowl V, but the occasion proved to be much happier as the Colts won 16-13 over the Dallas Cowboys on a 32-yard field goal by Jim O’Brien at the end of regulation. 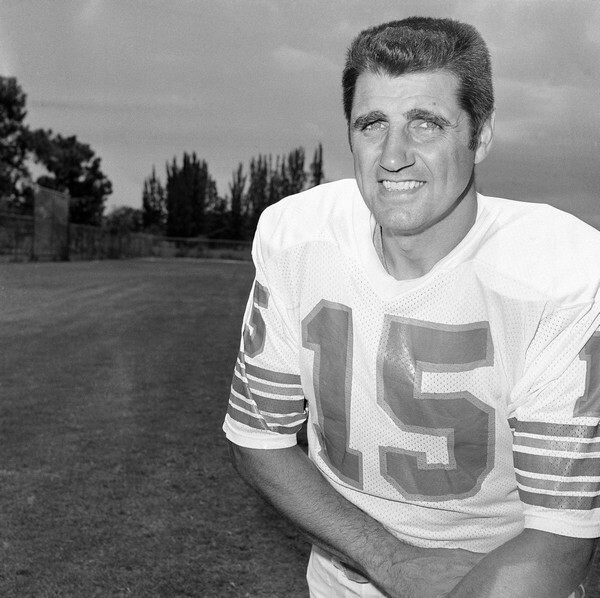 Morrall replaced the injured Bob Griese for the Dolphins during the team’s October 15 win over the San Diego Chargers. The victory gave Miami a 5-0 record, with Morrall building on that win to lead the team to the first undefeated regular season in the NFL since 1942 and only undefeated season ever, starting 11 out of 17 games that year. After notching a win in the team’s first playoff game against the Cleveland Browns, Morrall struggled against the Pittsburgh Steelers in the AFC Championship game, leading to the return of Griese. However, Morrall’s efforts did not go unnoticed when he was named American Football Conference Player of the Year also in 1972, along with the inauguralNFL Comeback Player of the Year Award. Morrall would remain as a Dolphin quarterback for the next four seasons before finally announcing his retirement on May 2, 1977. Until first Doug Flutie and then Vinny Testaverde almost 30 years later, Morrall was the oldest quarterback to start and win a football game in the NFL. In those 21 seasons, Morrall was part of 255 games, completing 1,379 passes for 20,809 yards and 161 touchdowns. 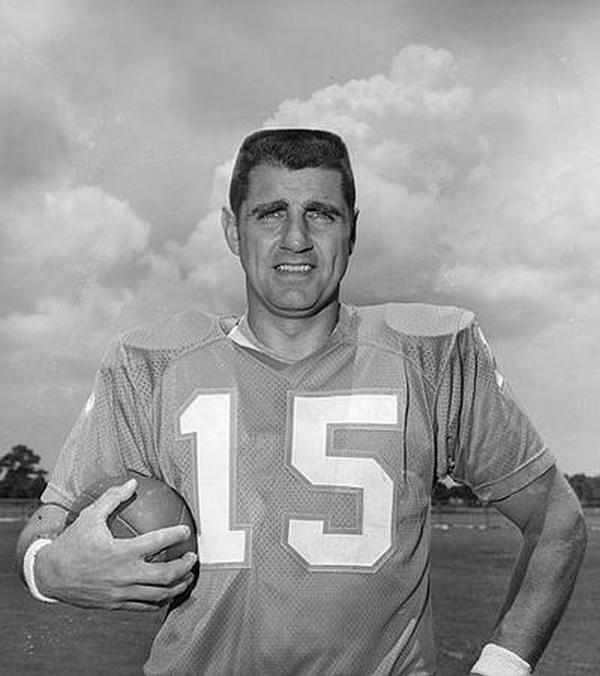 Earl Morrall became the quarterback coach at the University of Miami in 1979. During his time there he worked with Jim Kelly, Bernie Kosar and Vinny Testaverde. In 1989 he was elected to the Davie, Florida city council and eventually became mayor. Morrall ran for the Florida House of Representatives District 97 seat in 1992 as a Republican in 1992 and lost. During a 1989 interview, Morrall was asked what it took to come off the bench and be an effective quarterback and team leader. His response was, “When you get the chance to do the job, you have to do the job. That’s all there is to it.” He died of complications arising from Parkinson’s disease on April 25, 2014 at his son’s home in Fort Lauderdale, Florida. He was 79.